After rumors aplenty that the excellent Nokia Maps navigational software won't be prime-time ready when the Nokia Windows Phones launch next month, now a placeholder for the app has appeared in the Marketplace. Initially CEO Stephen Elop said that this navigation will be available to other manufacturers of Windows Phone devices, but it will take time to merge it with Bing Maps. Nokia apparently didn't want to wait for integrating the front and backends with Bing Maps, which is powered by Navteq, Nokia's mapping company, and will probably have the free navigation exclusive for its Windows Phones for now. That makes much more sense, that the $9 billion acquisition of Navteq won't be given away like that, erasing one of Nokia's main competitive advantages. Further down the road Microsoft might send some money Nokia way to integrate it with Bing Maps and offer free offline voice-guided navigation on all Windows Phones. Nokia Maps currently provides voice-guidance in most major countries worldwide, with recently introduced public transport and live traffic services, and, unlike Google Maps, you don't need to have Internet connection to use it. Right. I'm a nokia user (probably not for a long time...waiting to see design and price of Nexus prime), and I think Nokia maps is the best navigation solution on mobile. At least the best free solution (and one of the best of all). Maybe it's my main reason to be a little sick of going away from Nokia. 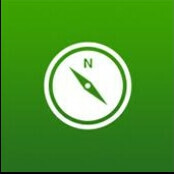 Looks very good, currently using Nokia maps V3.08 from the beta labs on my Nokia N8, really like it. Look forward to switching to Windows when the N8 replacement comes out with Windows Phone 8.